If I did a school-of-choice Kickstarter, it would go something like this . . . .
1. The School of One is part of New York City’s iZone initiative. Focusing on math, SO1 uses a sophisticated algorithm to create a personalized “playlist” each day for students. This playlist is an individualized learning plan (ILP) that’s based of the previous day’s performance. SO1 uses over 25 content providers. Lessons can be delivered online, in small groups, led by a teacher or tutor. 2. Carpe Diem is a charter school in Arizona that runs a blended learning model that uses online curriculum and teacher facilitators at the school. Students work independently online and then meet with classroom teachers for small group study. As a result, students have ILPs that are based on mastery. Students work at their own pace and rate. Schedules are flexible with year-round start dates and promotion and graduation options. Here’s how I would blend both of those models with other virtual options with a focus on personalized learning plans, individualized learning plans, differentiated instruction, and competency-based learning. Flex Yearlong Schedule – Students will typically complete seven courses in a year at mySchool. Students may rotate through seven courses a day, or they might have four classes a day. They might spend fifty minutes in a class or ninety minutes. There will be structure, but this is what flexible looks like. Students will progress through courses at their own rate. When they have mastered the course and passed their final project, they will move on to a new course or explore MOOC options until they are ready to start a new course. Students will also have year-round options, and the school will have year-round staffing options. Seat Time Waiver – Time is the variable in mySchool. To fit the flex yearlong schedule, the old concept of seat time will be laid to rest. The probability that any one student needs exactly 90 days (block schedule) or 180 days (yearlong schedule) to master a course is very low. Probably zero. Those lengths are not based on anything academic. When we try to teach all the concepts in 90 days or 180 days, we are moving too fast for some students and too slow for others, making it torturous for students who do not need all the review (mindless in their minds) and impossible for the students who need more time. Teachers as Coaches and Facilitators – Students are enrolled in online and blended courses and the local classroom teachers will work with smaller groups to differentiate instruction based on need and guide students in authentic, project-based learning. Subject Matter Experts – The flex staffing model will rely more on teachers who can be subject matter experts. A math teacher needs to be more than just an algebra teacher. He or she will need to be able to deliver differentiated support to various math levels. They will also function more as facilitators and coaches as high-powered online learning options will deliver content. The online courses will include teachers, too. Students will take their classes online, but the mySchool teacher will be ready to pull them out for individualized help and to help manage project-based learning. In addition to online teachers who come with the third-party providers, the district and school would also have teachers who only teacher online. These jobs are flexed from home, and will be during the year. Teacher effective will increase and burnout decrease. Learning Spaces – The 20th-century classroom is gone. Students will work in learning centers, bays, labs, studios, and in outdoor kiosks. Students will move throughout the day, at least every fifty minutes. mySchool will not make the sedentary work-style mistakes that are found in the cubical corporate world. This in itself makes the school a place where students what to be. It is less “government issue” and more boutique coffee shop in its design. Flex Campus – Many students will have the option to work off campus part time or even full time, depending on their circumstances and abilities. Their coaches will still monitor their progress and bring them back onto campus when necessary. Playlist – Machines with algorithms like School of One and Knewton will generate the student learning schedule each day. The machines will even determine when the students learn particular subjects best. Classes where they are struggling will be moved to that time of day when students show they have a “sweet spot” for learning. That might be 10:30 a.m. for some students. 2:30 p.m. for others. Thought Rooms – These rooms are filled with dry erase boards where students are taught to collaborate, brainstorm, design, and map ideas. It’s a chance to step away from the digital imput and engage learning in a different manner. Equipment – This is a 1:1 school and BYOD school. Flat screens instead of smartboards so that teachers and students can stream from their tablets. Apps have outpaces smartboard technologies and flat screens are cheaper. Gaming Center – This is for reward time and after school clubs. Wifi – mySchool needs gigabit broadband. We also need to close the gap for students who may not have the internet at home. It doesn’t do any good to flip a classroom or have content available 24/7 if students don’t have the internet at home. Those numbers are shrinking, but to think that 100% of students have access at home would probably be misguided. Google School – Many great collaboration tools here, but the apps available in the Google Apps store are essential. Students will need the cloud storage for docs. Now that we have a structure assembled, let’s dive into the real important stuff — teaching and learning. Blended – All courses are either blended, online, or locally flipped. Students have 24/7 access to high-quality content and assessments. Ultimately, the school “owns” the learning. Students will have access to high-qualified online teachers and local classroom teachers. The local classroom teachers can function as Socratic coaches and facilitators, who will supplement online providers if the providers are missing educational elements like project-based learning, collaborative projects, and Grand Challenges (see below). The local classroom teacher can deliver content, as well, but their classrooms will be flipped or in a learning management system so that students have that 24/7 access to learning. CBL – The mySchool model is based on competency-based learning. All classes must have explicit objectives that culminate with transferrable skills. Personal Learning – This isn’t “do you want civics before or after lunch?” mySchool is truly personalized, and this will set it apart from most other models. This is where we ditch the one-size-fits-all factory model. In mySchool, students will design their own personalized learning plan (PLP). They will have the chance to explore their passions, talents, and dreams each day. Students and their coaches will find ways to connect to the learning from their courses to their PLPs. The school will also help students develop their innovation and entrepreneurial skills so that students understand how to monetize what they are good or great at. Educators will help them find options so that they can do what they love forever. mySchool will teach students to make a life, not a living. Coaches will help students identify resources to meet their PLP needs. Students will develop their own network of experts, coaches, and peers in their PLP. Coaches will help them develop skills to direct their own PLP learning, monitor their own progress, and reflect on their development. The PLPs will foster lifewide and lifelong learning. Individual Learning Plans – Machines will help teachers deliver ILPs. Profiles will be developed to determine how students learn best. Playlists will guide students’ learning each day. Teachers acting as coaches and facilitators will become adept at have students who learn at different rates and paces, all of which was nearly impossible to do before the development of educational technologies. A la Carte Options – Students will have the choice of online providers and locally flipped models. Competency Evaluation – Students and coaches evaluate competencies when completed. Where do they fit into a student’s PLP? Is there evidence that the competency advances their PLP? If there’s a competency that advances no one’s PLP in the entire school, we need to take a look at what we’re doing with that competency and see if it has a 21st-century application. 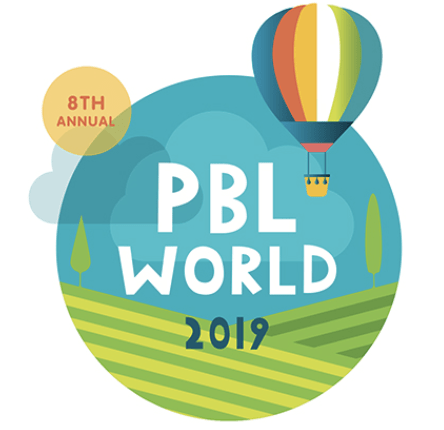 PBL – Delivering or covering content is not the goal. Production is a goal. mySchools wants students who can “do” things. Each class includes project-based learning goals. Multiple Pathways to Mastery – the ILP will help determine the mastery pathway. It will not look the same for all students. Grand and Local Challenges – Curriculum is centered around global and local challenges. Coaches and facilitators will find a challenge connect with each course and design projects connecting learning objectives to the challenges. Students will find common themes in their learning with a focus on understanding and solving these changes, which will lead to actual activism. Local advisory boards will have a hand in developing the local challenges, and community leaders and businesses will help students in this process. Stakeholder Empowerment – Communities will be more empowered than they have ever been before with their grand challenge involvement. Parents will connect with the PLPs, ILPs, and 24/7 access (which also gives transparency). MOOCs – Students who finish their courses early can start new courses to take time to earn credit in popular, curated MOOCS. Students will be able to piece together MOOC credits for elective credits. Homeroom – This will be meaningful time for students. They will review their daily playlist, plan their day, and check on their PLPs. Okay, would love to hear your feedback. What am I missing? I wished that such a system as I watched in the Bosch’s school could be adapted in my country especially in my school. There are many slow learners there and individualized learning would be great for them .